Morro de São Paulo (translation: St. Paul's Hill) is one of 5 villages of the island Tinharé in the municipality of Cairu, Bahia, Brazil. Martim Afonso de Sousa, landed in 1531 and baptized this island “Tynharéa” and the Bahian accent soon transformed that name to “Tinharé”. Tinharé Island is situated to the north of the Camamu Bay archipelago, South of Bahia, a region known as Tabuleiro Valenciano or better still, the Coast of Dendê. Due to its distinct geographical location, the island was subject to innumerable attacks by French and Dutch ships, a true free land for pirates during the colonial period. Under the jurisdiction of São Jorge dos Ilhéus, the land was given to Jorge de Figueiredo Correa by D.João III, and assigned to Francisco Romero for settlement. 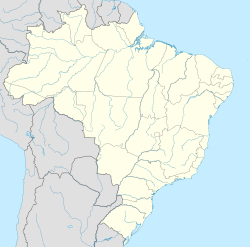 The constant attacks of the Aymoré Indians and Tupiniquins against the local regional population helped to quickly populate the islands, and in 1535 Morro de São Paulo village was born on the north side of the island. Morro de São Paulo protected the so-called "barra falsa da Baía de Todos os Santos", strategic entrance to the Itaparica Channel and to the Santo Antônio Fortress (currently named Farol da Barra). Additionally, the Tinharé Channel was essential for delivery of supplies from major production centers to the capital, Salvador. The geographical importance of the island during the colonial period justifies the richness of historical monuments, today protected by the National Historical Patrimony. 1531 Martim Afonso de Sousa lands in the Tinharé Island, which eventually becomes part of the Captaincy of São Jorge dos Ilhéus. D.João III donates the land to Jorge of Figueiredo Correa, who begins settlement. 1535 Francisco Romero and the local population found Morro de São Paulo village, located on the extreme north part of the island. 1624 Commander Johan Van Dortt and his squad land on the island during their route to Salvador. 1628 The Dutch Almirant Pieterzoon Hiyn leads an attack and loots the village. 1630 Governor Diogo Luiz de Oliveira initiates construction of the Fortress. 1728 Completion of the Forte da Ponta Fortress and wall along the island. Defeat of the French Admiral Villegaignon by Portuguese troops. 1746 Construction of Fonte Grande, the largest water supply system of colonial Bahia. 1845 Conclusion of the Church and Santo Antônio Convent, the N. Sra da Luz Chapel. 1855 Engineer Carson finalizes the construction of the lighthouse. 1859 The Royal Family and D. Pedro II. visit the island. The village is 272 km from the city of Salvador by route and 60 km by sea. The only way to get to the island is by boat or by charter flights that go from the airport of Salvador to the local airstrip or by regular flights to Valença Airport.